Take a journey with a Blue Badge Guide through a forest with deep roots in English history. A thousand years ago this became a hunting ground reserved exclusively for King William I. His son and heir William II met his own death here in 1100 – but was that arrow a stray or a deliberate assassination? 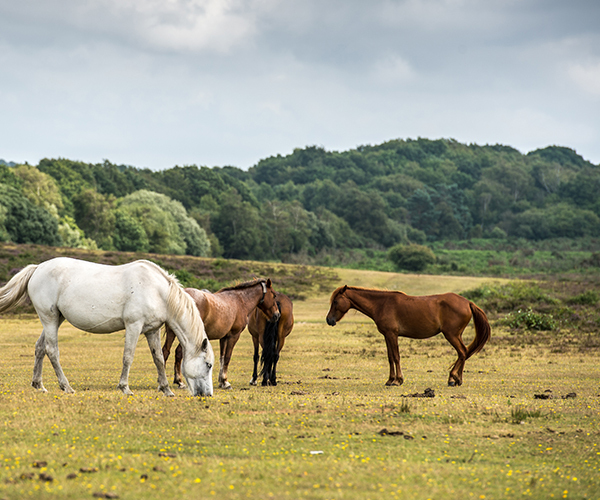 Today, the New Forest’s tracts of unspoilt woodland, heath and rivers are a haven for deer and its world-famous wild ponies. With your private New Forest guide you will walk the cliff tops at Barton-on-Sea, take a ferry from Hurst Castle at Milford-on-Sea to Keyhaven harbour or watch the boats come into Lymington Quay. 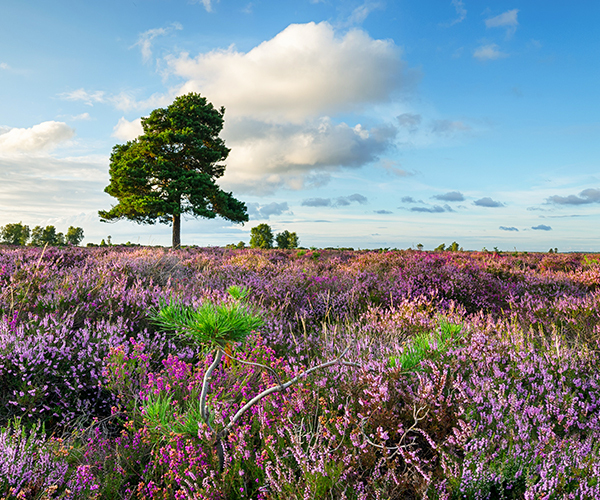 Your local guide will show you the area on foot, by bike, by car or even on horseback through ancient heaths and woodland, fresh rivers and shady groves. Discover the charming, traditional villages of Beaulieu, Brockenhurst, Burley and Lyndhurst, explore antique shops or enjoy a pint of locally brewed cider or beer in a forest pub. Car fans will want to visit the National Motor Museum at Beaulieu with its collection of over 250 classic and sports cars. See the beautiful 18th century maritime community of Buckler’s Hard and hear stories of Nelson’s fleet that included ships built locally that fought in the decisive Battle of Trafalgar in 1805. Visit Exbury Gardens or Breamore House and Museum near Fordingbridge. Sample tasty local food and drink in traditional country pubs or cosy tea rooms.